The web has certainly increased the options for those selling a car. Unfortunately, it hasn't made it a whole lot easier. In the good old days, those selling a car bought a $3 "For Sale" sign and placed a $20 ad in a local paper. You then spent days, weeks, or months, answering phone calls, setting up appointments, and negotiating with potential buyers. The Internet promised to make selling a car easier, but most often ends up with the same old grind. Selling a car online allows owners to potentially access many more prospective buyers. The hard reality, however, is that few used cars are valuable enough to spend hundreds or thousands of dollars to transport them across country. The reality is that people selling a car are usually limited by geography. As a result, people selling a used car are too often left with the same old hassles. You'll need to field e-mails and phone calls, set up appointments to let people see the car you're selling, and go back and forth to negotiate a price. 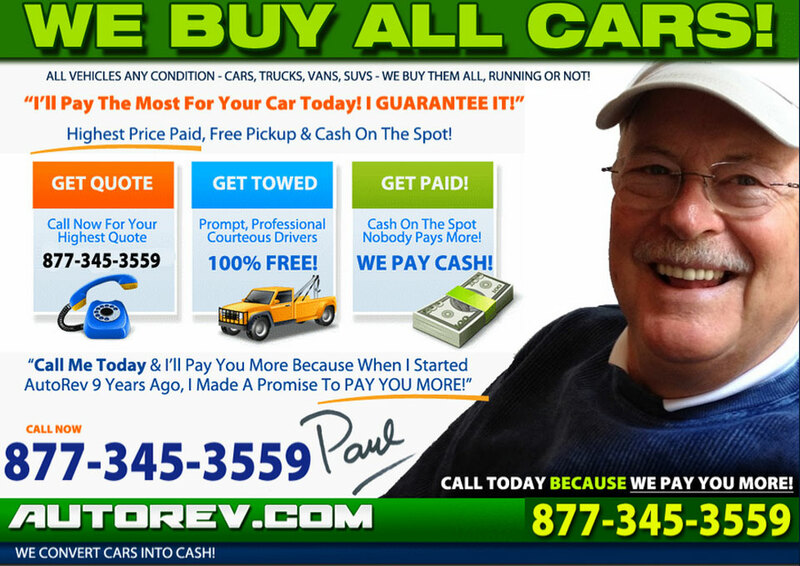 We have been buying cars for several decades, we buys cars from San Francisco, California to New York, NY, and have learned how best to serve those selling a car anywhere in the U.S. Our well trained telephone and web reps reply to offers fast, our business model allows us to pay top dollar, and we are a hassle free zone. In short, we make selling a car as convenient and profitable as possible.